The rolling hills of Point Reyes, Tomales, Bolinas, and surrounding seashore have been home to some of the greatest agricultural and farm-to-table movements of the past five decades. From Cowgirl Creamery to Tartine Bakery (yes - it technically started in the North Bay before its famed Mission location), the care and love of well-produced, diligently made food is a core tenet of this region. Less known, however, is the influence this region has had on another industry of great significance: sustainable textiles. Coyuchi was founded in 1991 by Christine Nielson, becoming the first company to produce and sell top quality organic cotton bedding to the masses, starting in their flagship store off of Highway 1 in Point Reyes Station. 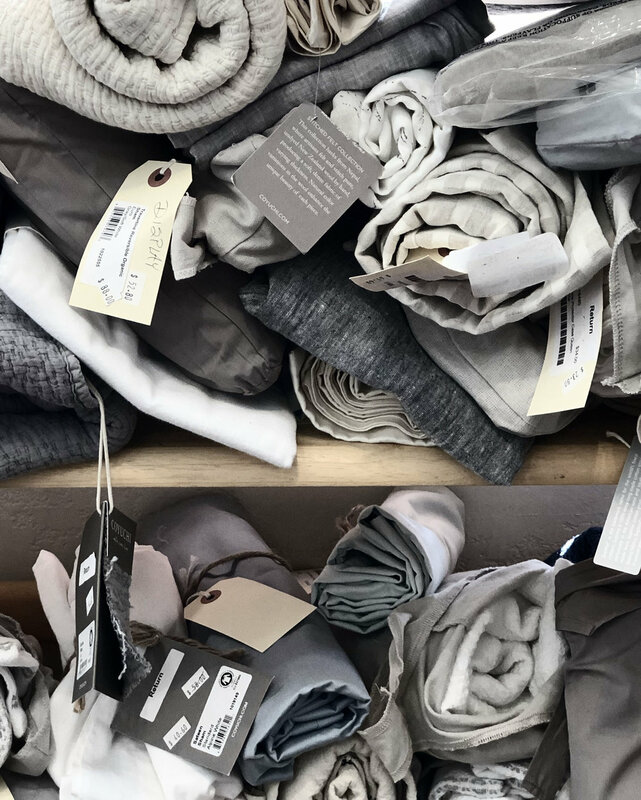 From its formation, the company’s goal was to create sustainable, high-end linens that would last a lifetime, while simultaneously contributing towards an organic movement in textiles, at a time when such a thing was decades off from being in trend. Nearly thirty years later, Coyuchi maintains its place at the helm of the movement, doing so with a team of intelligent, thoughtful, passionate minds that care about keeping their customers comfortable and earth well cared-for. Coyuchi has adjusted to the direct-to-consumer market via social media quite seamlessly, reaching customers with their aesthetically pleasing, altogether calming Instagram feed, filled with muted tones ad coastal views. The ethos captures the quiet magic of the North Bay completely; a place naturally beautiful, and soulful as well. Never asking for attention, yet receiving nonetheless because of an honest quality that can’t be named, but rather felt. The word “coyuchi” itself is rooted in ancient tradition. Derived from the Aztec language of Nahuatl, “coyuchi” refers to the naturally occurring color of cotton—not a crisp white, but a bleached brown. The name of the coyote derives from the same root—harking back to the dusty color of the animal’s coat. At its core, Coyuchi’s identity is tethered to nature. Each strategic move the company makes operates from a place of increased sustainability. While the movement is noble and certainly gaining traction as consumers take time to consider where their everyday household materials are sourced from, it is not always easy to thrive in the marketplace given the inherent higher price point of organically produced goods. The team at Coyuchi knows this. Rather than fight a futile battle, however, they focus on funneling the money into the facets of production deserving of it. “Organic production always costs more. 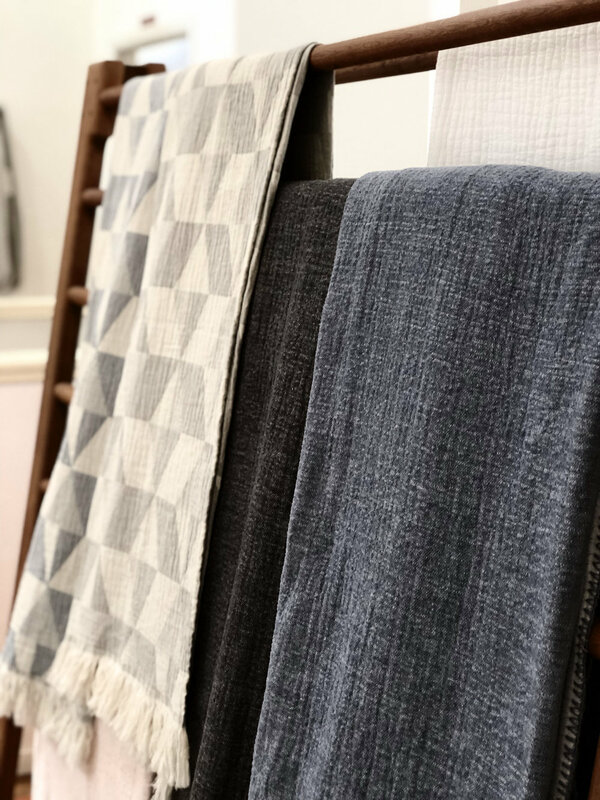 We like to focus on ways we can make sure the money goes where it deserves,” she said, speaking of the actual farmers and producers of the linens Coyuchi sells. The company delivers in this regard, consistently working to discover new ways to invest in their producers at every stage of production. Coyuchi’s La Loma collection serves as an entirely new way to talk about organic. The line focuses on making a real connection between food and fiber. When farms undergo the process of obtaining their organic certification, the timeline runs about 36 months - a length of time massively impactful as farms work to completely reset their daily operations. This work includes but is not limited to, cessation of synthetic fertilizer, herbicide, and pesticide usage, ensuring the soil can heal from these past harmful chemicals. By investing in farms taking this huge step towards a sustainable future, Coyuchi enters a relationship with their farms rooted in trust and loyalty, ultimately giving way to a business partnership with longevity in mind. CEO Eileen Mockus further outlined the implications of putting stock in transitional organic farms. “Becoming certified organic makes them apart of the coop,” Mockus explained to Bob Cut. “[This process] has taught farmers how to grow other crops, creating more of a livelihood, moving from subsistence to actually supporting their families.” Put simply, Mockus sums up the reason Coyuchi possesses a deeper level of honest quality and comfort, proving to consumers that they are a brand worth coming back to, for life. “Sustainable fabrics make things inherently more comfortable,” she said. Sleep in their organic cotton sheets, or picnic on a Bolinas bluff with their Mojave Blanket, and you’ll see how very true this is. // The Coyuchi flagship store is located at 11101 CA-1 #201, Point Reyes Station, CA 94956. Shop the collection online at coyuchi.com. Get it in your inboxes every Saturday.